Ultimate Hoops - Who's had the best statistical season of 2018? Who's had the best statistical season of 2018? Stats alone do not dictate the success of a basketball player, but they sure do help to decipher between good and bad. There are dozens of players across Ultimate Hoops who have had phenomenal seasons in 2018, culminating in MVPs, championships or both. This is not an argument of who has had the best single season in 2018. Instead, I want to focus on the three PPR leaders from the three seasons that have concluded and determine who has had the best statistical season in 2018. This will put a lot of emphasis on each player’s stats and PPR, while also including attendance, team success and playoff performance. I’ll start in the Winter season, where Rocko Holmes led all of Ultimate Hoops with a PPR of 55.2 while playing in the Scottsdale Draft League. Most of Holmes’ prior UH career came in the West Bloomfield Open League, where he averaged 26.8 points, 12.2 rebounds and 2.2 assists per game in 34 games. He made the move to Arizona and got into a draft league, which saw his numbers take a significant increase. In the five games he played during the Winter season, Holmes averaged 38 points, 21 rebounds and 5.2 assists per game, all while shooting 68 percent from the field and 42 percent from deep. 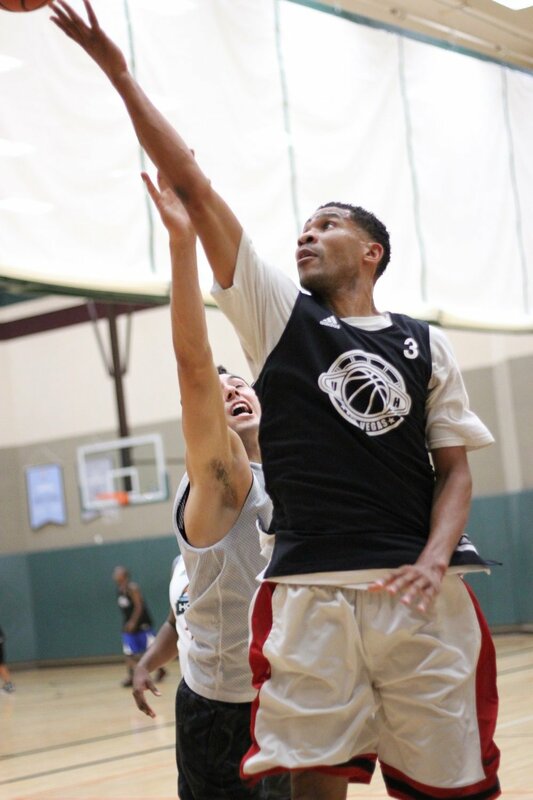 He made a stellar first impression in Scottsdale as he scored 53 points and grabbed 27 rebounds in the opening game of the Winter season, a game that Holmes’ Running and Drafting won 123-89 over Major Key. The one thing that is going to hurt Holmes the most in this argument is the lack of games played, as he played in five of his team’s nine games last season. This includes a no-show in the first round of the Winter Draft Tournament, where Running and Drafting lost 120-90 against Damn Gina with Holmes not in attendance. No surprise to see another member of UH Arizona crack the list, as Juice Hedrick put up absurd numbers in the Spring Gilbert Draft League, leading UH with a PPR of 48.3. There wasn’t a statistical category that Hedrick didn’t blow up in the Spring, as he averaged 37.3 points, 13.2 rebounds, 9 assists, 3.9 steals and 2.6 blocks while shooting 60 percent from the field and 54 percent from deep. That is one of the most stacked stat lines you’ll see over the course of a season, and you would assume that it would lead to a lot of success for Hedrick’s Buckets ‘N D. That wasn’t the case, as Buckets ‘N D finished the season 1-8. It looks like Hedrick had to take on the role Russell Westbrook has with the Thunder: Average close to a triple-double to try and pick up wins, but fail to have success in the playoffs. It didn’t work out for Buckets ‘N D, but that can’t deny the unbelievable season Hedrick had. He had three triple-doubles and eight double-doubles in nine games. It’s not hard to see how this team got its one win when you look at Hedrick’s stat line in the 111-102 win over Light-Skinned Assassins. He scored 44 points, grabbed a season-high 22 rebounds, dished out a season-high 17 assists, added four steals and a season-high five blocks…sheesh. Jeremiah Massey made a lot of noise in the Summerlin Open League this Summer, setting records on his way to a UH-leading 55.4 PPR. He averaged 54.5 points and 16.4 rebounds per game while shooting 63 percent from the field. You can’t mention Massey’s name without bringing up the 109-point game he had against Underdogs this season. It was a controversial record-setting performance, as 23 of his 26 rebounds were offensive, meaning he was padding his stats with intentional missed shots, piling up his offensive rebounds. It was also said that he was cherry-picking throughout the game, rarely passing half court to come back on defense. Massey’s Get Money defeated the Underdogs (who unsurprisingly finished 0-9) 173-106, with Massey outscoring the Underdogs by himself. That performance polarizes Massey, but he was consistent for Get Money all year, posting a double-double in every game and scoring 30 or more points in every game. The lack of team success hurts his case as well, as Get Money finished 2-7 with a first-round playoff exit. So who had the best season? The lack of team success severely hurts Massey and Hedrick, while the lack of attendance plagues Holmes. I give the nod to Hedrick because of his full stat line. Not only did Hedrick almost average a triple-double during the Spring season, but he added 3.9 steals and 2.6 blocks per game, showing his high-effort on defense. Massey had absurd offensive numbers and a record in the Summer, but Hedrick put together a full performance on both sides of the floor. His Spring season is the statistical bench mark to aspire for this Fall.